The most common type of crash involving a car and a motorcycle is at an intersection when a motorist makes a left turn in front of a motorcycle. All too often motorists will turn left into the path of an oncoming motorcyclist either because the motorcyclist is hidden by roadway features or because the motorist just didn’t “see” the motorcycle. In fact, if you fix your gaze on one object long enough while you yourself are in motion, your peripheral vision goes blind. -Double-check traffic at intersections before you turn or pull out. -Always check your blind spots before changing lanes. -Treat motorcyclists with the same respect you give other motorists. -Leave at least a four-second distance between your car and a motorcycle in front of you. Note when a motorcycle passes a point in the road. -When passing a motorcycle, give a full lane to the motorcycle. -Keep a watchful eye at all times; a motorcyclist may be closer than you think. 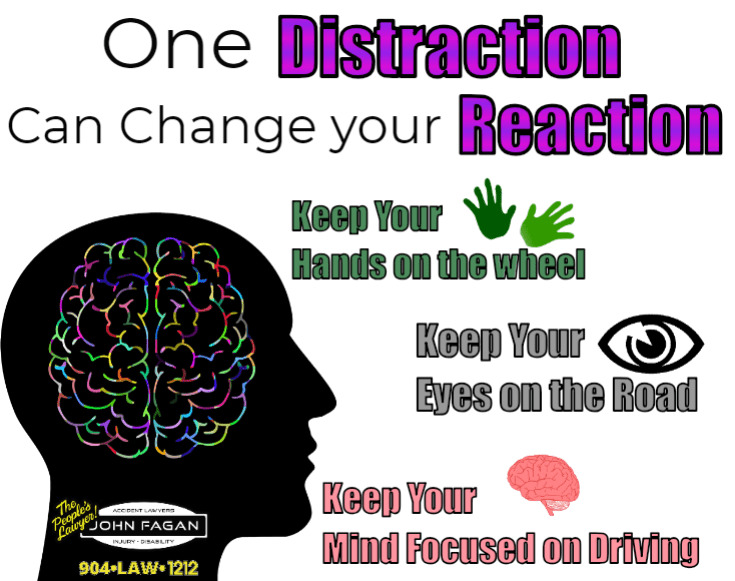 -Distracted driving is anything that takes your attention away from the primary task of driving. -Remember to yield the right-of-way to motorcyclists.